Cut chives and a small piece of the chilli in fine slices and fold it into the cream cheese together with the pistachios and a little bit of lemon juice. Hash the pumpernickel and put it into a bowl. 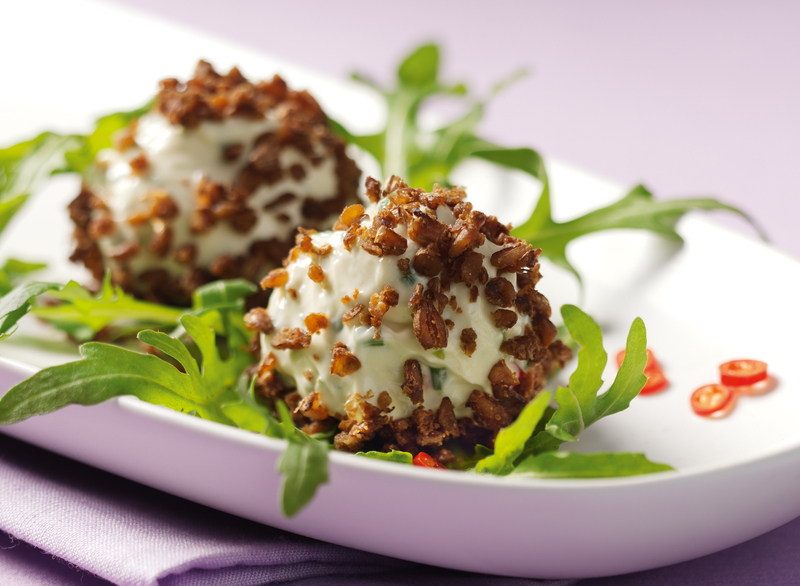 Knead the cream cheese with wet hands into small balls and roll them in the pumpernickel breadcrumb coating. Serve on the rocket leaves. Tip: Mix the cream cheese as cold as possible. Also delicious with cream cheese chives type!